Any fishery functions as a series of complex interactions among an ecosystem, the political arena, the economy, cultural norms and traditions, and other systems. Understanding these interacting systems is critical for achieving EDF’s triple bottom line goals: more fish in the sea, more food on the plate, and more prosperous communities. EDF has been tackling this challenge by bringing together expertise spanning disciplinary boundaries, including biology and ecology, social sciences, policy analysis, and business planning. Members of EDF’s Fishery Solutions Center recently spent two days in Boston meeting with partners from Yale University, the Massachusetts Institute of Technology (MIT) and the Natural Resources Defense Council (NRDC) to integrate research efforts in support of sustainable fisheries worldwide. Participants reviewed the recent global macro-analysis of the biological, social and economic upside that can be realized by aligning incentives in fisheries through the application of well-designed fishing rights. We then considered three parallel analyses that allow deeper understanding of how to best design scientific, policy and market systems that allow for the upside to be realized. Markets: A team working through the Sustainability Lab at the MIT Sloan School of Management illustrated how a range of existing tools for understanding supply chains, market structure, stakeholder interactions, and financing can be used to help fishermen and women and fishing cooperatives become more profitable and financially viable. These are critical outcomes in building sustainable fisheries because they enable fishermen and women to work with fewer pressures, adopt longer planning horizons, stimulate creativity and innovation, and become better stewards of natural resources. Policy: Stronger financial footing for fishing communities will depend in part on the effectiveness of the national policies that govern fisheries management. A team with the Environmental Protection Clinic at the Yale University School of Law and School of Forestry & Environmental Studies described an extensive literature review that identified the key elements of good fisheries policy. The team organized their findings into a framework that can be used to evaluate the strengths of a national policy, as well as those aspects in need of improvement, creating a roadmap to the enabling conditions for successful fisheries management. Science: One clear component of good fisheries policy is a strong role for science in setting management targets and management measures. Scientific tools for understanding ocean ecosystems are becoming increasingly – and excitingly! – sophisticated. Unfortunately, too many fish stocks around the world are not assessed, and research shows that many of these are likely to be overexploited. Fortunately, there are many tools we can use to generate valuable insights on population status with only minimal data. At the workshop, EDF provided an overview of our framework and toolkit for scientific analysis when data are limited, and NRDC shared a simulation modeling tool being developed with partners to help evaluate the effectiveness of these approaches. 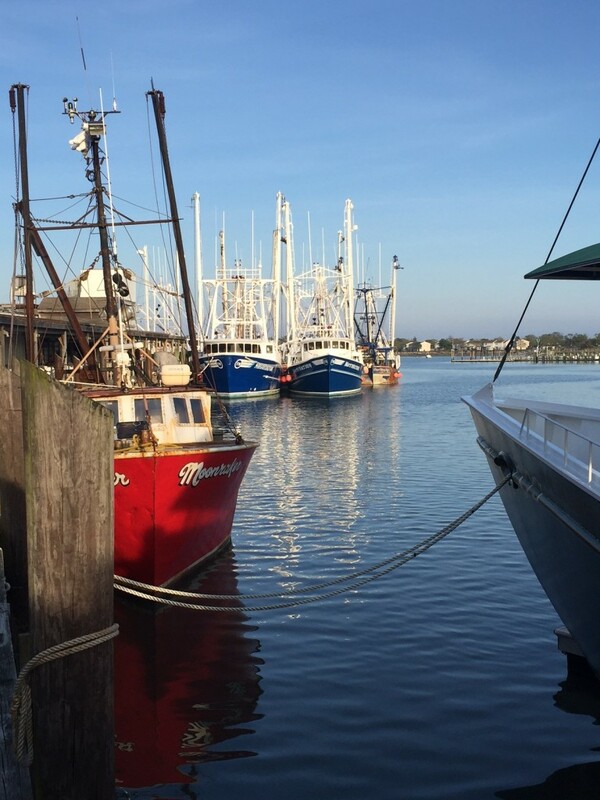 These three components are critical to an effective fishery system, and these tools can give the fishing industry, buyers, NGOs, and governments the insights and information necessary to design systems that best addresses the challenges each fishery faces. Collaborations such as this help the bigger picture become clearer through better understanding of the various components. 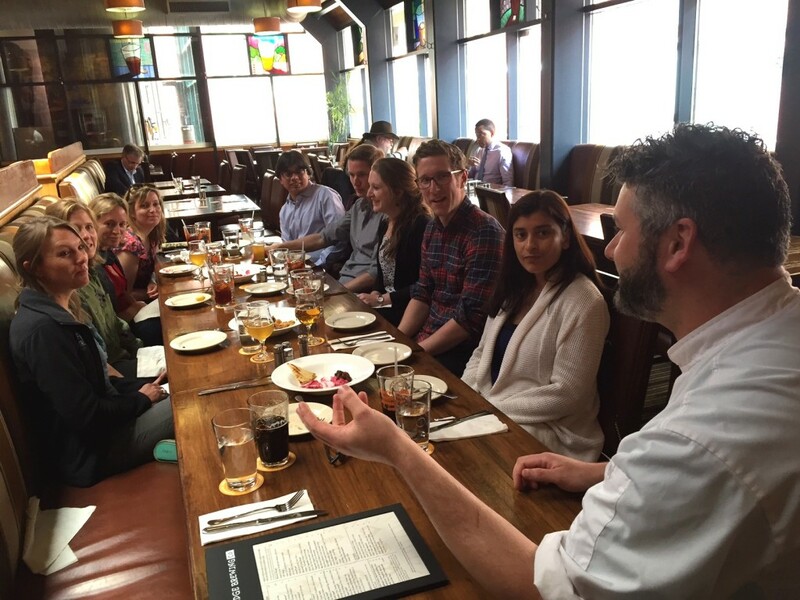 Chef David Drew of Cambridge Brewing Company shares his perspectives on seafood sustainability with science, policy and business planning practitioners from EDF, Yale University, Massachusetts Institute of Technology, and the Natural Resources Defense Council. Amidst the dense technical discussions, we headed to Cambridge Brewing Company to meet with Executive Chef David Drew. He shared his restaurant’s experiences with meeting a commitment to serving sustainable seafood, meat, and vegetables (not to mention beer!). Despite numerous challenges in navigating the complex landscape of sustainability, Chef Drew told the group that many of his consumers today are much better educated and looking for the most responsible food choices available. All of the scientific, policy, business planning, and other work that goes into building sustainable fisheries culminates in the work of people like Chef Drew, so his perspective was both unique and valuable for the workshop participants. This entry was posted in Domestic, International and tagged collaboration, diagnostics & design, economic upside, fisheries policy, FSC, markets, policy, research, science. Bookmark the permalink. Both comments and trackbacks are currently closed.